This free, monthly, health and wellness digital publication is produced by UK Health Radio Network. 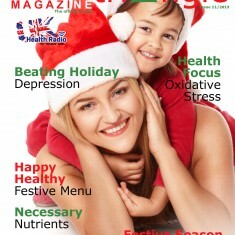 Edition 11, edited by John Hicks of The Health Kicks Show (www.health-kicks.co.uk), contains many interesting articles. Johann Ilgenfritz reflects upon his belief that oxidative stress is the root of most diseases – from alzheimers and angina through to rheumatoid arthritis and thrombosis. Our bodies constantly react with oxygen and our cells produce energy. As a consequence of this activity, highly reactive molecules called ‘free radicals’ are produced. Johann goes onto explain the processes in some detail and explains how papaya brings huge benefits to people. Distinguished author Philip Weeks, an expert on natural medicine, herbs and nutrition, gives us the lowdown on the essential nutrients necessary for good health and wellbeing. And Abigail Wilson shares some wonderful culinary festive delights with her suggestions for a healthy Christmas menu. Abigail is a qualified expert dietician and nutritionist but the photographs demonstrate just how amazing healthy food can be; it certainly doesn’t have to be boring! The ‘Book of the Month’ is a fascinating insight into the history of medicine by author Tim Hall. The book is part of publisher Hodder’s ‘All That Matters’ series. Tim is a distinguished medic and certainly knows what he is talking about! This is a great read! How about the concept that “an orange a day keeps the Statin side effects at bay”? Well, Health Triangle Magazine examines a new study suggesting that Italian orange supplements can enhance cholesterol effect of statins and could help reduce patient dose. This is an interesting read for medical professionals and the general public alike! The talkhealth free on-line clinic for January, supported by UK Health Radio, enables everyone with questions or concerns about weight, including related diseases and weight management issues, to seek advice from medical experts, NHS Choices and charities. You have to feel sorry for Father Christmas. According to the article by Dr Bram Brons, a medical expert with Health Express (www.healthexpress.co.uk) who suggests ways in which we can avoid some of the pitfalls in Santa’s lifestyle. Debra Chew explores the link between thought, spirituality and health – and brings us a spiritual insight into beating holiday depression such as SAD (seasonal affective disorder). The Health Kicks Show this week featured an interview with celebrity medic, Dr Hilary Jones and Ian Facer of the Pharmacy Voice organisation. 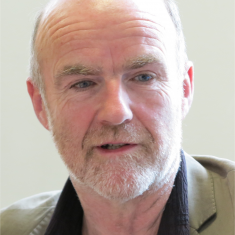 They discussed the suggestion that that bad habit with medicines are putting health at risk and costing the UK NHS millions of pounds every year. 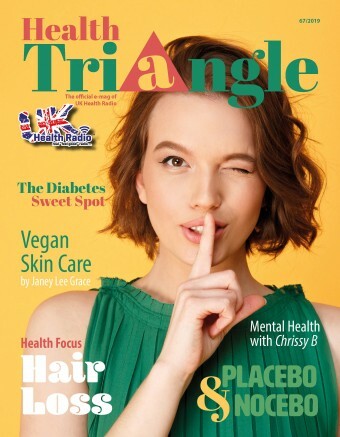 You can hear that interview in this edition of Health Triangle Magazine. Pfizer have launched a campaign of “Medicine Optimisation” to try and help people get the best out of their medicines. Finally, the magazine unveils the Christmas period radio schedule. This will appeal specially to Elvis Fans and followers of UK folk music, roots and acoustic. If that’s you, Health Triangle Magazine is essential reading! 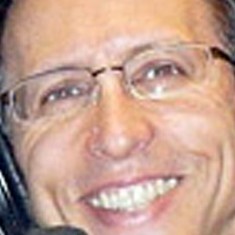 Do please visit www.HealthTriangleMagazine.com and enjoy!